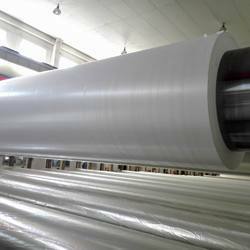 Being considered in the market to be one of the leading manufacturers and suppliers of these quality Transfer Polyester Metalized Film, we never compromise with their quality. 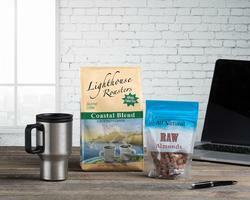 Thus all these products, manufactured using quality raw materials, are sent to our team of quality experts. Owing to the raw materials used, the offered product has an exceptionally long life. Offered in several specifications and at a reasonable price, this product is highly demanded. This offered product is used for the purpose of making wrapping papers, glitter powder and reflective mirrors. Being considered in the market to be one of the leading manufacturers and suppliers of these quality High Barrier Metallized Plastic Films, we never compromise with their quality. Thus all these products, manufactured using quality raw materials, are sent to our team of quality experts. Owing to the raw materials used, the offered product has an exceptionally long life. Offered in several specifications and at a reasonable price, this product is highly demanded. This offered product is used for the purpose of making wrapping papers, glitter powder and reflective mirrors. Being considered in the market to be one of the leading manufacturers and suppliers of these quality Metallized Plastic Films, we never compromise with their quality. Thus all these products, manufactured using quality raw materials, are sent to our team of quality experts. Owing to the raw materials used, the offered product has an exceptionally long life. Offered in several specifications and at a reasonable price, this product is highly demanded. This offered product is used for the purpose of making wrapping papers, glitter powder and reflective mirrors. Being considered in the market to be one of the leading manufacturers and suppliers of these quality Imported Metallized Plastic Films, we never compromise with their quality. Thus all these products, manufactured using quality raw materials, are sent to our team of quality experts. Owing to the raw materials used, the offered product has an exceptionally long life. Offered in several specifications and at a reasonable price, this product is highly demanded. 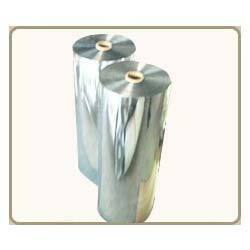 This offered product is used for the purpose of making wrapping papers, glitter powder and reflective mirrors. 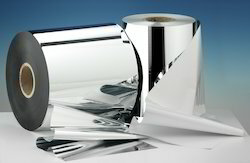 Looking for Metallized Plastic Films ?